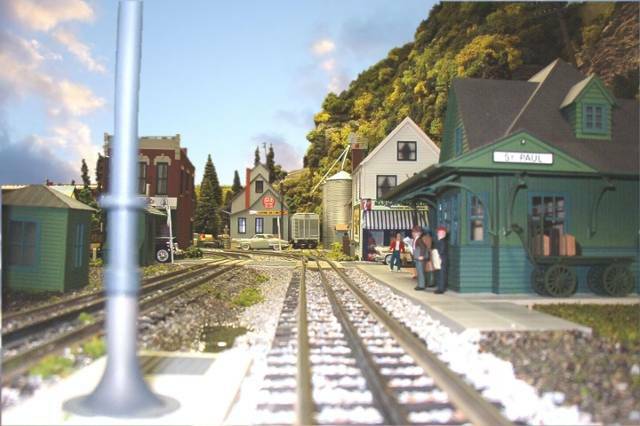 (Guest) J&C Studios O Gauge Archive Photo Poll: Aug. 2014 Waiting for the train. Topic: Waiting for the train. On a warm summer day some passengers are waiting at the St.Paul depot for the afternoon train to Garfield.